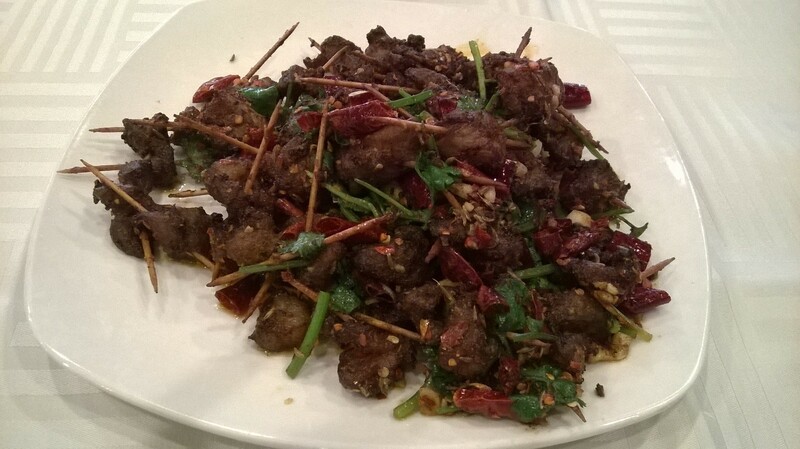 I finally did it – I tried Chengdu Taste, a restaurant known for its numbing spicy (mála) dishes. I have been wanting to try the restaurant since it opened around 2 years ago, but was rather a bit intimidated by all the reviews of how very heated and spicy the food can be. 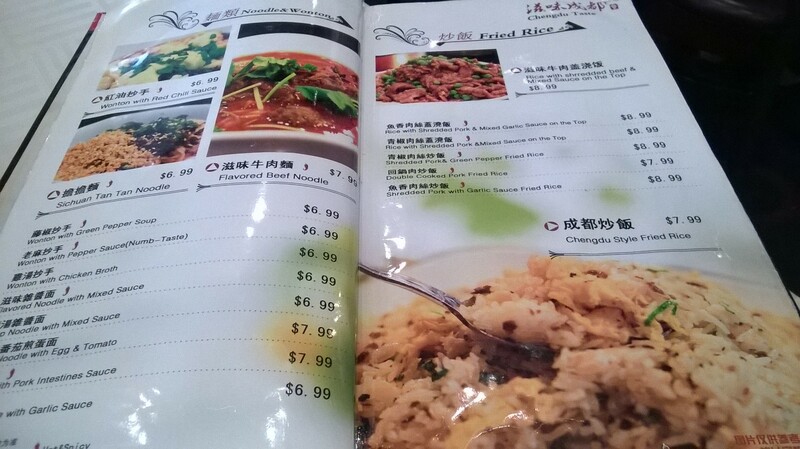 It was also a bit difficult to find someone to go along since not everyone is into extremely hot Chinese food. Fortunately, a brave friend of mine was bold enough to venture into this relatively unknown territory of taste sensation with me. The interior of the place was more modern and brighter than we had imagined, and thankfully, much cleaner as well. The server, a tall, young fellow, was efficient. The place was already packed at 12:15pm on a Thursday. We ordered the Toothpick lamb with cumin, as most of the patrons in the restaurant did as well. In fact, the whole place smelled of cumin and fragrant spices. 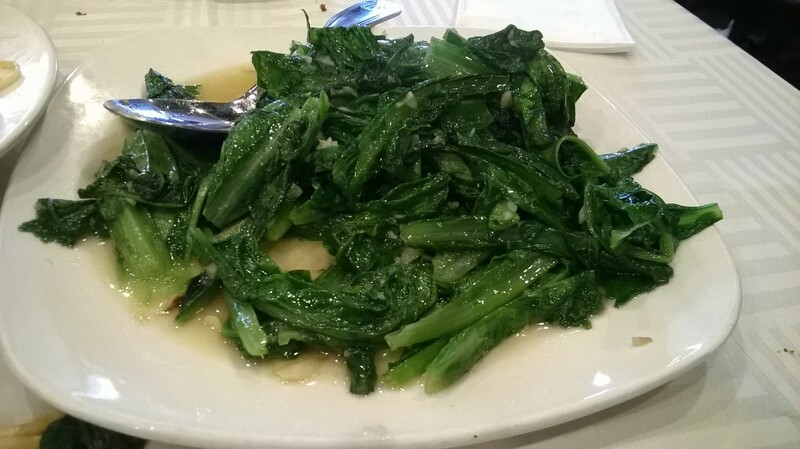 We also ordered the Wonton in chili oil, and Sauteed “A” vegetables. The small cubes of lamb were well seasoned, extremely flavorful, aromatic and tender. But after about 6 cubes of the meat, my mouth was getting a bit over heated, so I thought I needed some carbohydrates to neutralize the heat. So we asked the waiter for an extra order of Cold Garlic Noodles. 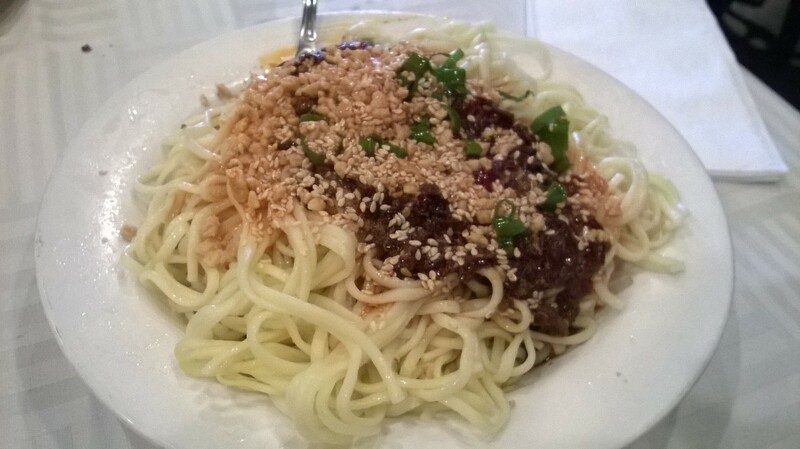 When the bowl of noodles arrived, I realized that this was not going to help me with the cooling of my palate, in fact, that noodle turned out to be the most numbing of all the dishes. But, I ate it just the same since it was addictively good. Luckily for me, there was a big heap of “A” vegetables that was not spicy at all. I practically ate most of the greens in order to be able to keep eating the rest of the food. 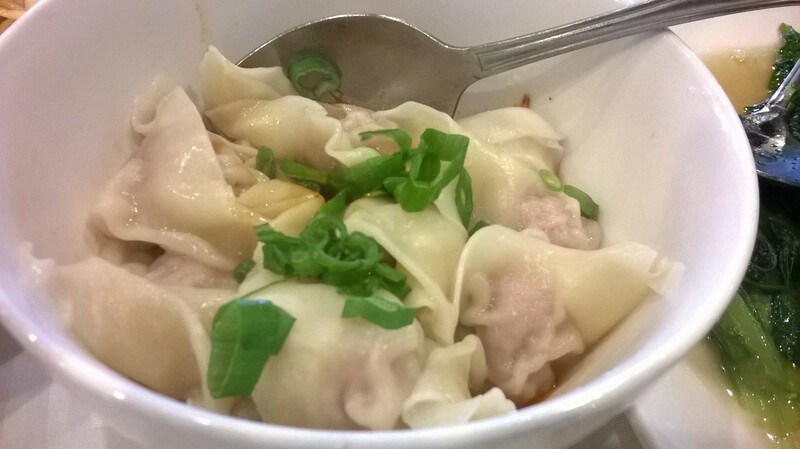 Surprisingly, the wonton in chili oil was not too fiery, and had a good flavor. I must say that as much as the food was indeed hot and numbing, they were full of distinctive flavors as well. I did enjoy all the plates, although it will be quite a while before I will attempt the other specialties on the menu. As I was exiting the restaurant, all I could think about is how quickly I can get my hands on a icy cold boba milk tea.